We will be there to guide you through the whole process from start to finish. Our comprehensive service offers you complete peace of mind. With so much to organise and so many things to remember, selling your property is just the beginning. With full knowledge that you are in good hands, the various removal services we can offer will give you complete peace of mind. Although we are based in Aylesbury we make personal surveys throughout Buckinghamshire, from High Wycombe to Buckingham and from Milton Keynes to Thame and Bicester. Our professional removal services means we'll be there to guide you through the whole process from start to finish. Our representative will call at a time to suit, when he can assess the volume of goods to be moved and discuss your precise requirements. He would also take this opportunity to answer any questions or concerns you may have. You will be sent a written quotation detailing a suitable schedule. All quotations include our "All Risks" insurance cover against damage or physical loss of goods, full details of which are sent with every quote (purchase is optional). Moving House in the Buckinghamshire Area? House moving can be a stressful process, which is why moving with Robinsons will help to make the process as stress-free as possible. 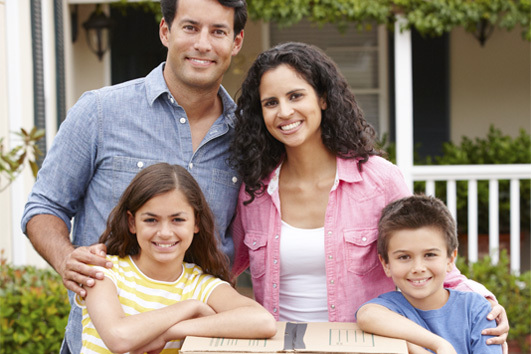 Our wide range of house moving services are there to help your move go as smoothly as possible. These include offering a flexible packing and if required, an unpacking service saving time and effort. We also have a range of packing materials available from our depot on a hire/purchase basis in situations when clients wish to carry out some or all of their own packing. Mobile wardrobes are provided for hanging clothing. If you require additional help when moving house, our staff can also carry out a full or partial packing service, dismantle and re-assemble furniture such as wardrobes, racking and beds and we also have the right equipment for the safe removal of specialist items such as pianos too. We endeavour to make moving house as easy as possible for the residents of Buckinghamshire and pride ourselves on ensuring every aspect of your move is taken care of. If our quotation is acceptable, in the case of the more usual sale and purchase of a house, once your exchange has taken place then a booking can be made and a written confirmation of your date and arrival time will be sent to you. 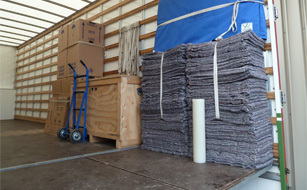 For removals over more than one day, a full work schedule will also be sent to you. On arrival, our crew will initially require a quick tour of your home to acclimatise themselves with the layout and to take note of any requirements you may have. Prior to leaving our depot, our crew will have been given full information about your move and will have the appropriate materials and equipment onboard. All our vehicles are equipped with woollen blankets to cover and protect your furniture whilst in transit and we can also provide dedicated floor coverings to protect carpets against water and dirt. 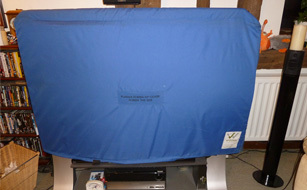 We also have specialist padded covers for small, medium and large plasma and LCD televisions as well as padded covers for settees, armchairs and even for front doors! On our arrival at your new home your furniture will be placed in position according to your instruction and any dismantled items would be re-assembled. Only once you are satisfied will our staff take their leave.